The compact family ski area is characterized by a lot of space on the slopes and thus a lot of security for children and beginners. On the Michaela Kirchgasser FIS run experts feel at home and like testing their skiing technique. Skiers who like to take it a bit slower can not only look forward to the unique mountain panorama, but also slopes that end directly in the village. 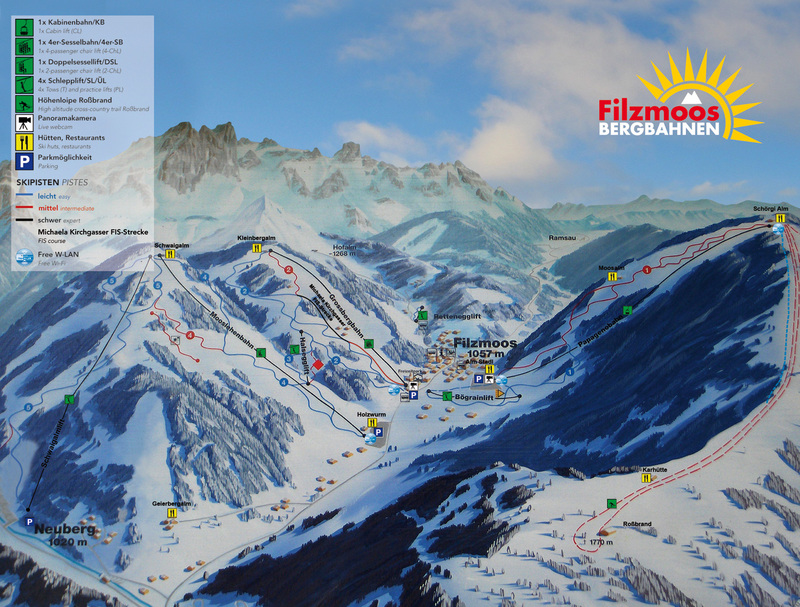 Filzmoos ski area is home to superb ski schools, making it popular especially among more sedate skiers. A special Filzmoos highlight is the Rossbrand high-altitude cross-country ski run at 1.600 m. You can really feel the magic of winter here. The morning after a snowfall it is often easy to mistake this area for Scandinavian forests and both cross-country skiers and winter hikers find pure pleasure in the unique panorama and delightful location of this high plain.